I'm a Jersey girl without the big hair or the accent (well, most of the time anyway), but with all of the bad driving and the penchant for weekly manicures. Oh, and I'm an interior design student. That's how all of the weird terminology comes into play. Pretty recently a whole slew of you offered up some great train reading recommendations. Well now I have a couple for you. Ryan McGee of Wading in the Velvet Sea is now offering free downloads of his two blog anthology books, Wading in the Velvet Book (Best of 2002-2003) and Headful of Lightning (Best of 2004). Though I’m obviously biased, I have to say that I can’t recommend these books enough. They are at turns witty, heartbreaking, thought-provoking, and side-splittingly hilarious. And did I mention that they’re free? After the disaster that was my midterm, I spent a lot of time yesterday looking for comfort within myself in order to remember why I chose the interior design school track in the first place. I found it in two places – one internal and one external. When I went to visit my parents on Sunday, I was telling them how much I was enjoying the course and how the field felt like a good fit for me. Then my dad told me that he remembered my first interior design encounter. When my parents discovered what I had done, I was so proud that they didn’t have the heart to reprimand me. “You seemed so innocent about the whole thing,” my father chuckled in disbelief on Sunday. Instead, when they painted the room a girlie pale pink (at my request), they gave my drawing an oval frame in pink paint. It feels good to know that I’ve felt the need to design since I was little. 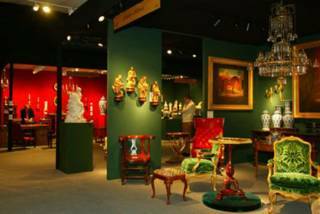 Last night I went to The International Fine Art and Antiques Dealers Show on Park Avenue in NYC. I demand to see more green on this site! Starting tomorrow and ending Monday, I’ll be in Orlando for a wedding with Ryan. I might write some stuff while I’m there and backdate it later, but we’ll see. I’m off! This is a directory of all You need to find out about wedding reception decoration picture. I have a site to wedding announcement. It's a free information site on wedding announcement. I purchased a wood stove wanted to save on the heating cost this year.my Fireplace Chimney site related to everything about fire places and wood stoves.So save on the higher heating cost and burn some wood.Have a great day bye. I also have a web site & blog about auto insurance quote so I know what I'm talking about when I say your site is top-notch! Keep up the great work!